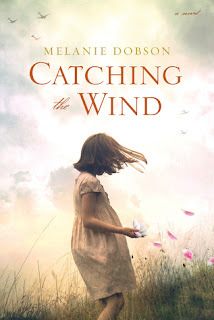 Catching the Wind may my favorite book written by Melanie Dobson yet. It starts off during World War II Germany with Brigitte Berthold and Daniel Knight escaping the Gestapo, who had already their parents. Their journey takes them to England where they are separated. These two go to a place in history they never thought possible. I love this story! Melanie Dobson has weaved quite a tale. To be honest, I was not sure what I thought of Quenby in the beginning. I quickly began to like her more and more as I continued to read. The mystery of what happened to Brigitte kept me guessing where she was. Is she alive? Did she die during the war? Where was she? I could not have predicted how it all unfolded. One of the best books I have read in a very long time. This book is a keeper! An excellent novel that I highly recommend. I would most definitely give this story 100 stars if I could. I received this book from the author, but was not required to write a review. This review is of my own honest opinion.